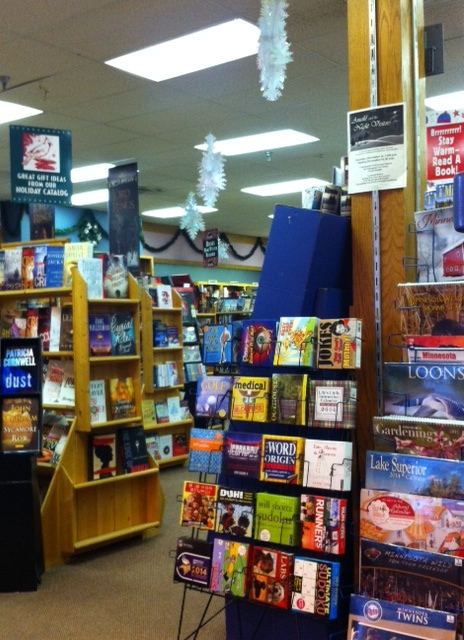 The Village Bookstore in Grand Rapids has been in existence for more than 30 years. 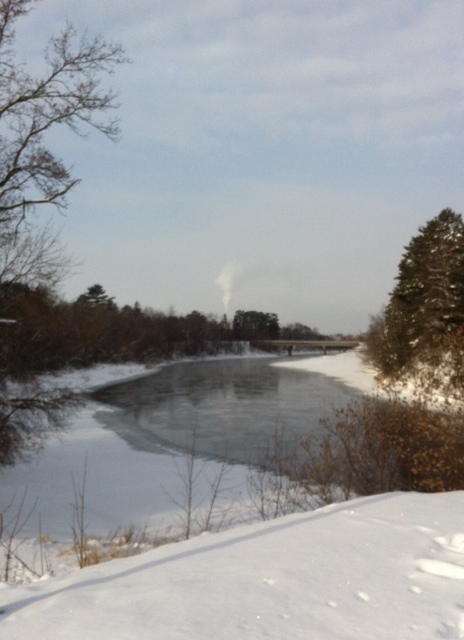 On December 14, my book took me to Grand Rapids. I signed books at Village Bookstore in Central Square Mall for a couple of hours. A lot of Minnesota families go “up North” in the summer. If they are lucky, they have a cabin on one of the thousands of lakes in this state. Otherwise, camping is a popular option. My family was not one of those families. I was “up North” only once in my childhood, and that was for a sixth-grade class trip to Isabella in 1987. The next time I went up North was 1994, and that again was northeastern Minnesota. I’ve been back numerous times since, but always to the North Shore of Lake Superior, rarely into the northern Minnesota interior. The Mississippi River is rather small and very clean as it winds through Grand Rapids. The mighty Mississippi starts about 75 miles away, near the town of Bemidji. We went through Princeton on our way to Grand Rapids, and Princeton up until now had been the furthest north I’d been on Highway 169. Is this not a gorgeous funeral home? 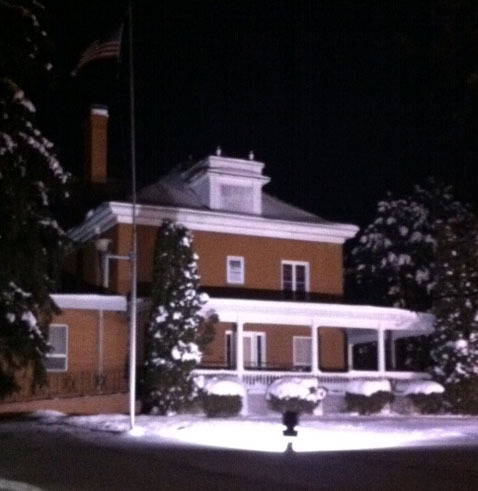 SRT Funeral Home is on Highway 169 in Aitkin. I rarely see one so old-fashioned; usually they’ve been long torn down. Huge swaths of this state are unknown to me: Brainerd, Bemidji, Detroit Lakes, Grand Rapids. I could go to these places anytime, of course, but I’m grateful that my book is giving me opportunity to travel the state. 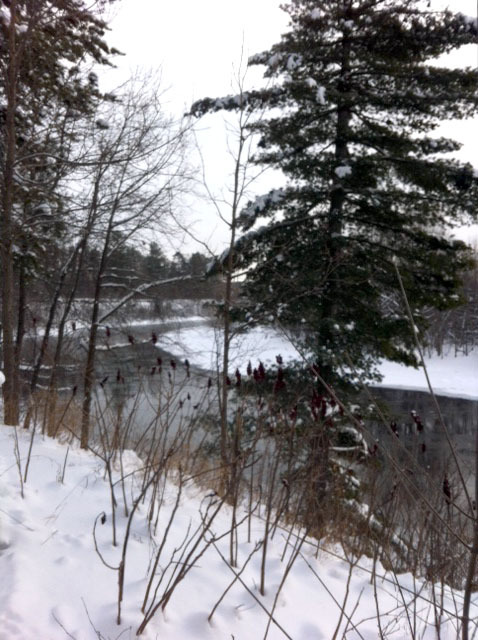 The scenery was so gorgeous in Grand Rapids. 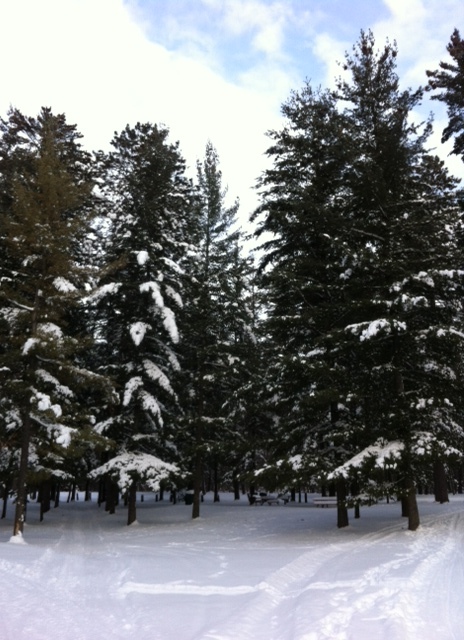 Northern Minnesota had received a great deal more snow than us in southern Minnesota. I’m also not used to seeing so many pine trees. The topography of this state is so varied. The good news is I received a Minnesota State Arts Board grant for 2014 that will allow me to continue these statewide travels. I plan to hit Grand Rapids again (along with Duluth, Grand Marais, and Ely). I also plan a north-central Minnesota tour (Bemidji, Brainerd, and Detroit Lakes) and a southeastern Minnesota tour (Red Wing, Winona, and Rochester). Grand Rapids is a lovely community with everything I need (including a Caribou Coffee!). I had forgotten that Grand Rapids had been home to one of five “ag” schools in the state–the North Central School of Agriculture. As I mention in my book, Dad attended the Southern School of Agriculture in Waseca. It was cold Saturday morning! Well below zero. But that didn’t stop me from tromping around the park. There was very little wind, so it was quite pleasant.